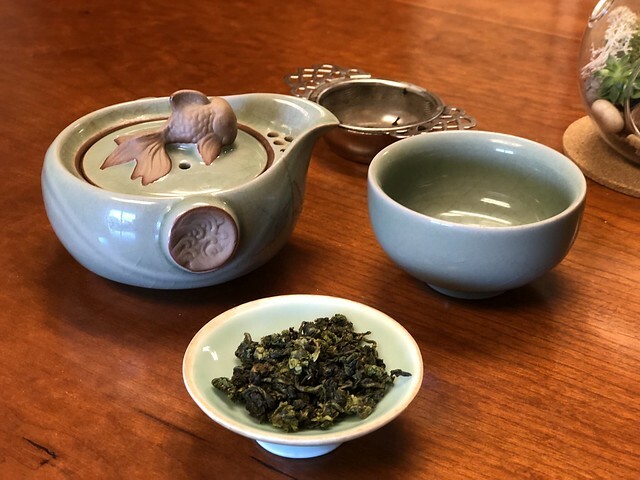 So last week, I shared some of my favorite teaware purchases on Amazon Prime as a way of helping someone get started with loose-leaf tea more easily and accessibly. In that post, I mentioned that I’ve also bought some quality loose-leaf teas off Amazon recently from Teavivre. Teavivre is a company that sells teas from China and is pretty consistently ranked in the top 10 among the User’s Choice Vendor List on Reddit’s Tea subreddit, r/tea. Since they have an Amazon storefront, with options available through Prime, they’re also really, really convenient, especially if you’re impatient like me. Now, a note about shipping: Most of the vendors I use charge shipping, and shipping can add up, especially when you’re sourcing teas directly from the country of origin. If you have a hard time getting over paying almost as much for your tea again for shipping, it would help to read this post. One thing to note about buying items through Prime with “free shipping” is that they will probably be priced higher than the same item on Teavivre’s own site because companies work shipping prices into their item prices when they decide to offer free shipping. In fact, I’ve bought matcha from one site that had low prices and charged a lot for shipping, only to find that, ultimately, if I bought a couple of things, it was much more economical to buy from them than from a site with free shipping. And the matcha was excellent. But I do like free Prime shipping when I just want to try one thing and don’t feel like putting together a large order. It’s about your shopping and drinking habits. Anyway, on to the tea. I’ve chosen to try one each of black, green, oolong, and white teas to review here, so you can get a sense of what they offer. I didn’t get a puerh because I’m still working through the samples I got from white2tea a while ago! 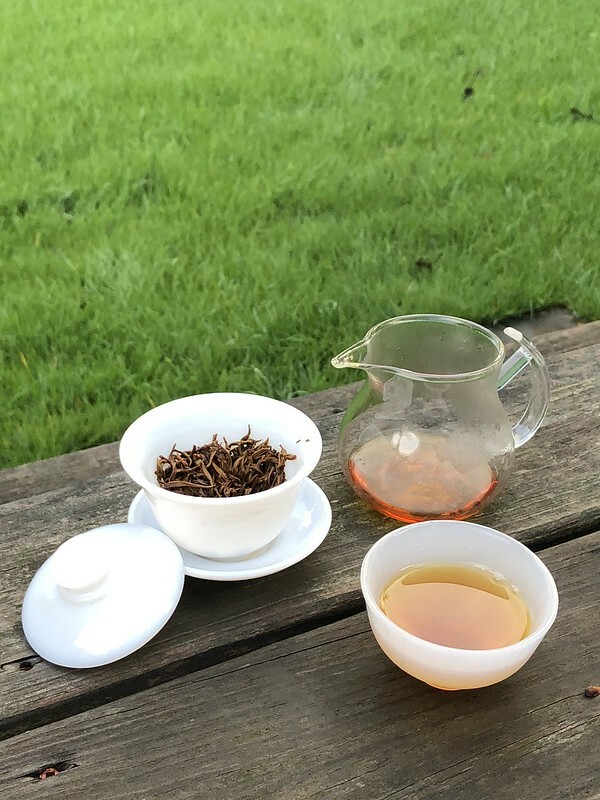 Organic Bai Mu Dan White Peony white tea: This was the first tea I tried, and I actually showcased it in a sunrise tea session video a while ago. I’d never tried a white peony before, but it had a pretty standard non-silver-needle white tea profile, if a little straw-y for my tastes. It brews up nicely in gongfu and lasts for at least five infusions. This is a very fluffy tea and will probably seem like a lot of leaf if you measure your tea by weight. Tieguanyin oolong tea: I’ve spoken at length about my love of oolongs, and Tieguanyin is one of my favorites. 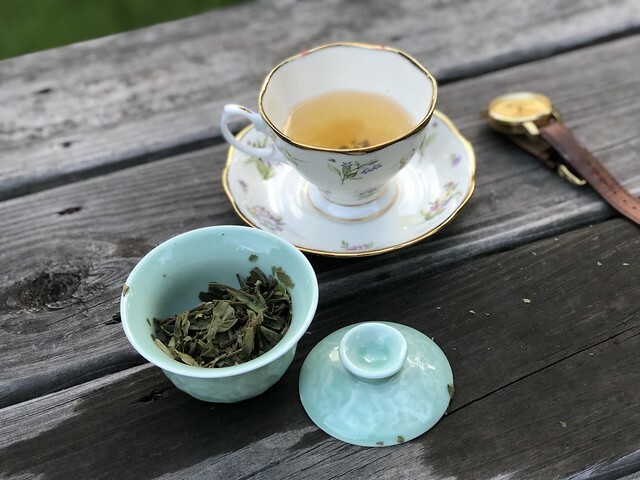 This is a great example of this style of oolong, still quite green and light, but with a satisfying slight creaminess and honey-floral character that I adore. I got 100g of this and it’s my go-to, can’t-decide-what-kind-of-tea-to-make, I-need-a-nice-cuppa-to-perk-me-up tea. 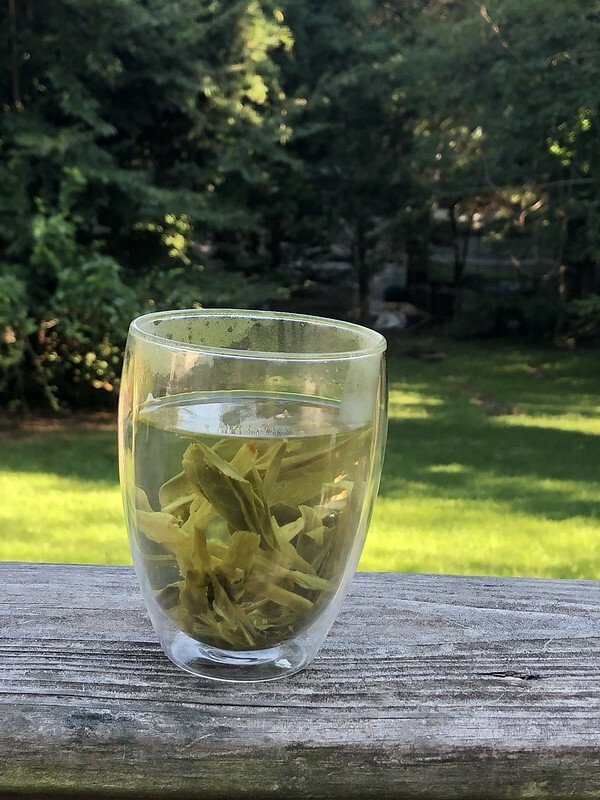 Premium Tai Ping Hou Kui green tea: I got this tea simply because I keep seeing “the green tea with the big leaves” on Instagram and I wanted to try it for the novelty. But it’s quickly become one of my favorite teas for a lazy, warm morning. I don’t know how much I’ll drink once the weather (finally) cools off, but it’s pretty much what you’ll find me drinking on work-from-home days and weekends. I just put 2.5g in my double-walled tumbler and drink it farmer-style, and it’s a delightful classic Chinese green tea. It’s a bit light in flavor, but it has distinct notes of grass, green leafy vegetables, and just a tiny touch of the sea. Yunnan Dian Hong Golden Tip black tea: Wow, I saved the best for last here. With the aforementioned weather cooldown, I’m finding myself more drawn to black teas, and I was curious to try a Dian Hong. This Dian Hong is absolutely wonderful, with notes of dried fruit and syrup. It doesn’t get too tannic or bitey, and I just find it a lovely mellow tea to sip on a rainy or cool morning. So that’s my round-up of some teas I’ve tried at Teavivre, all purchased through Amazon. Do note that I wasn’t given any incentive to write this post, nor are any links affiliate. I hope you’ll consider them a way to get started with some great teas without needing to navigate all the different tea vendors out there. Of course, once you find teas you like, definitely branch out and see how different vendors’ offerings differ, but the beginning shouldn’t be daunting. I hope this helps at least one person feel a bit less intimidated by loose-leaf tea! Wow, I had no idea that Teavivre was on Amazon Prime – I hope this means the start of more quality tea being hosted there. I’ll be honest, I haven’t found any good matcha on Amazon, though I know that The Oolong Owl has gone through a large-scale review of matchas that includes some on Amazon. So far, the teas I’ve received from Teavivre are packaged very well, so perhaps they realize that they have less control over the storage conditions.